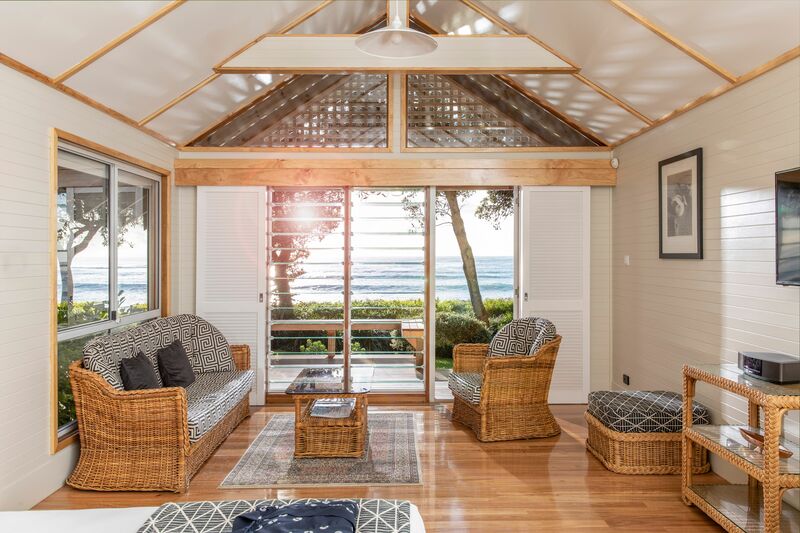 Our Luxury Retreat is home to 34 individual bungalows and villas, that all will ensure you enjoy a relaxing escape. Dotted throughout the 2.5 hectares with most situated right on the beach and others nestled in the canopy of our sub tropical rain-forest. 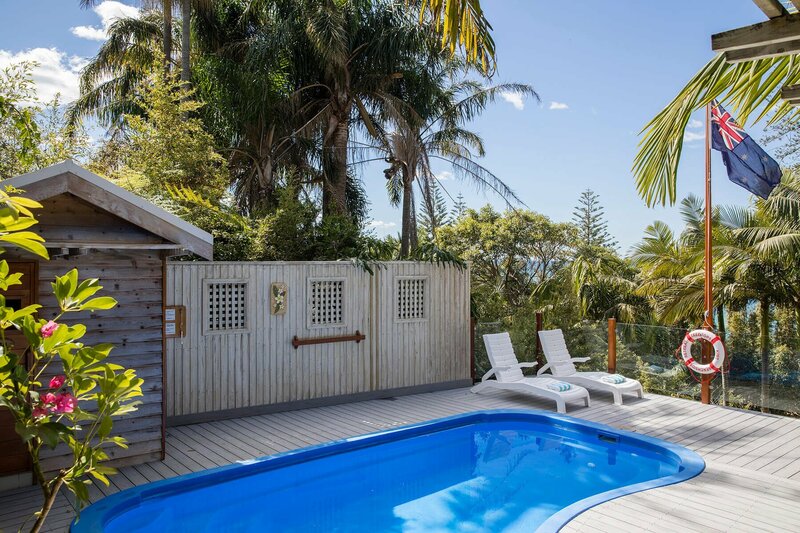 Enjoy soaking in your outdoor heated Jacuzzi, indoor spa bath or private swimming pool, some of the features found among our well appointed bungalows and villas. We have limited pet friendly rooms. To book our pet friendly accommodation please telephone 02 4332 1566. 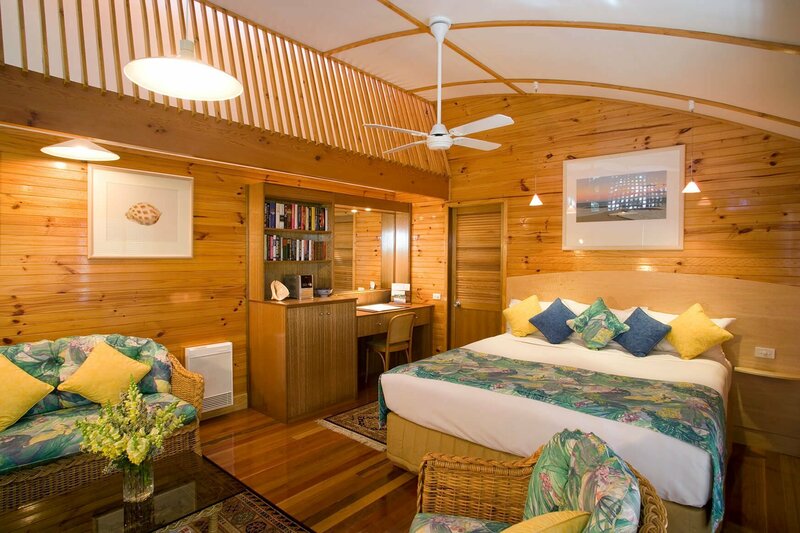 Escape the stress from the city and immerse yourself in our luxury hotel at Kims Beachside Retreat. 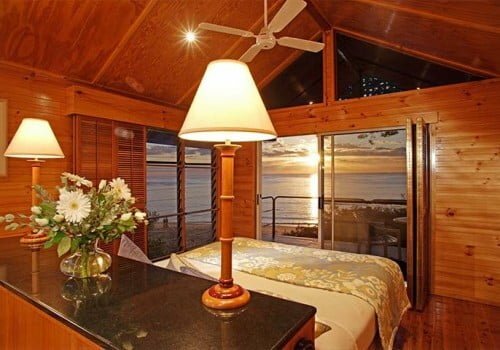 Imagine waking up peacefully to breathtaking views of the sand and the ocean. 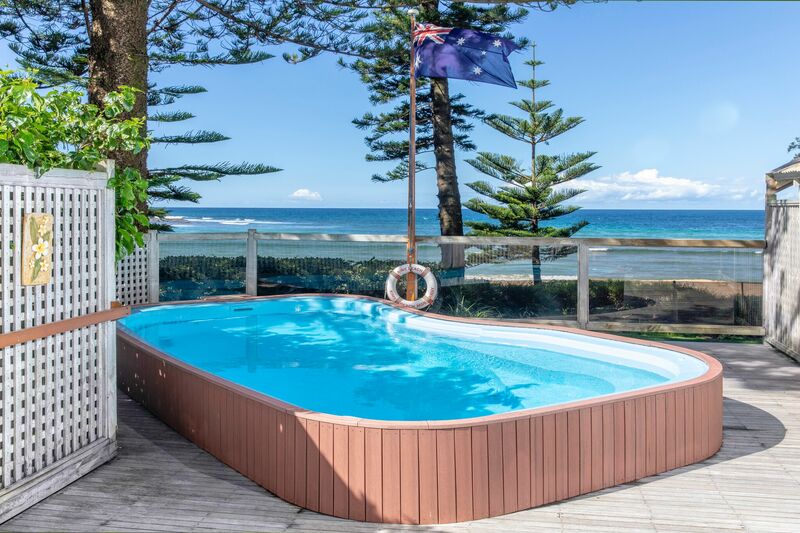 Kims is the ultimate beachfront accommodation, with the sea right on your doorstep. We ensure your stay at our luxury hotel is comfortable and relaxed as we cover the small things so you can appreciate your time at our home away from home. 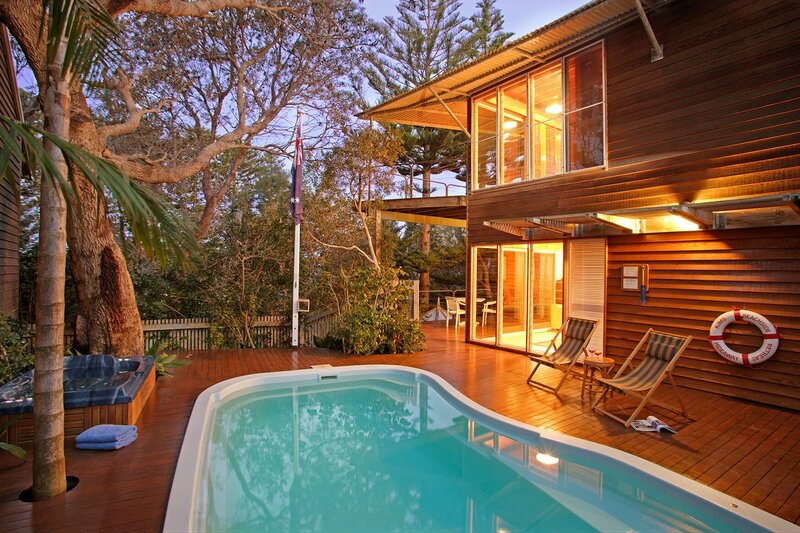 Being only over an hour away from Sydney, Kims Beachside sits in Central Coast stunning Toowoon Bay. 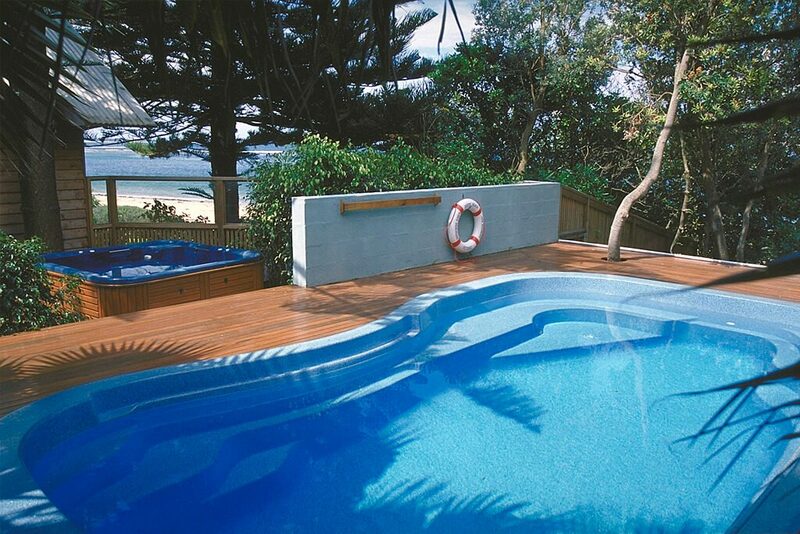 Sydneysiders are often escaping the busy week, to enjoy a lavish weekend away at our stunning resort. 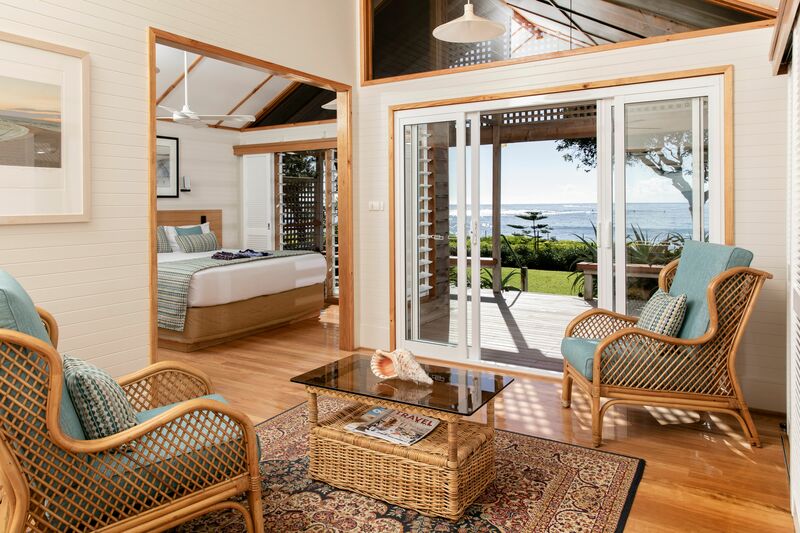 Our 34 suites and villas are all designed uniquely for a calming getaway, and that is the reason why we are one of the best Central Coast resorts and identified as a luxury hotel in NSW. Our guests are treated with special care, as your satisfaction is our highest priority. We make sure you leave Kims feeling well rested, relaxed and satisfied. 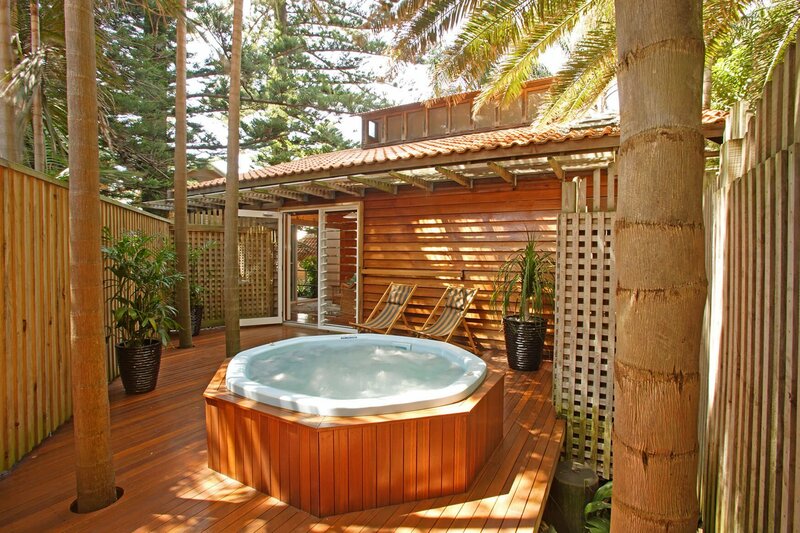 Not only are we classified as a relaxing beachfront resort, but also the perfect romantic accommodation. 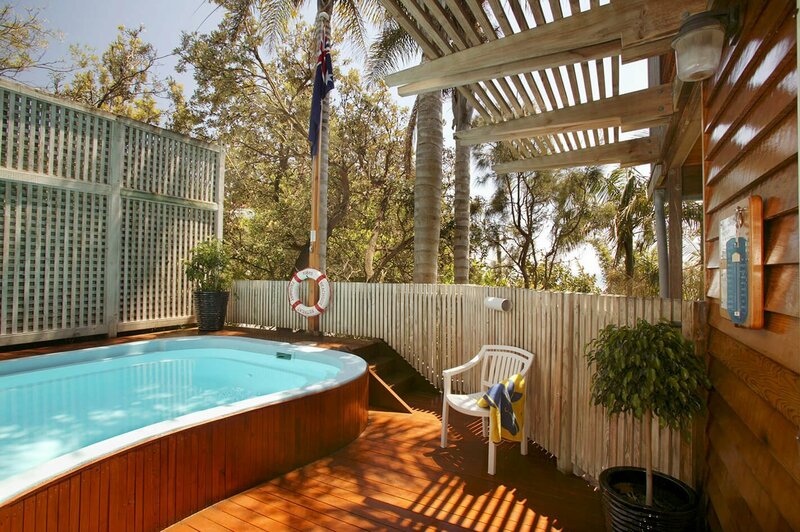 If you are looking to indulge your partner in a weekend getaway, look no further than Kims Beachside Retreat. 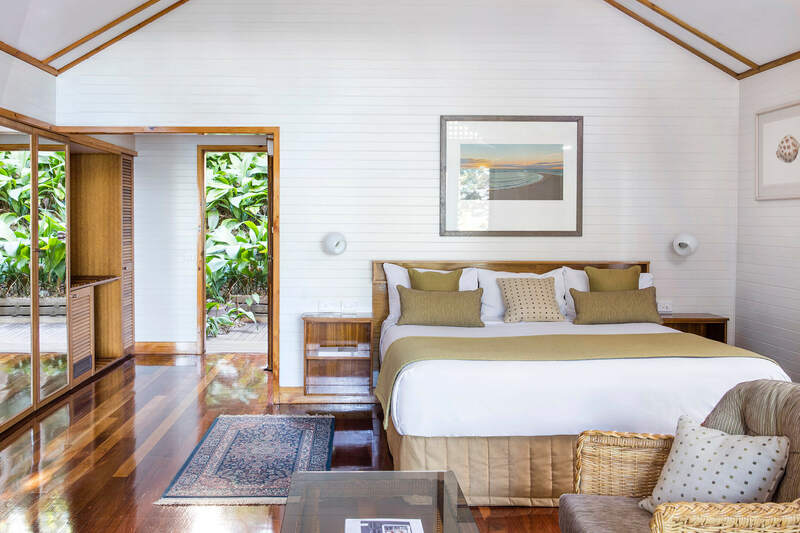 We make sure your time is special and intimate in our private timber bungalows and make sure Kims becomes your home away from home. 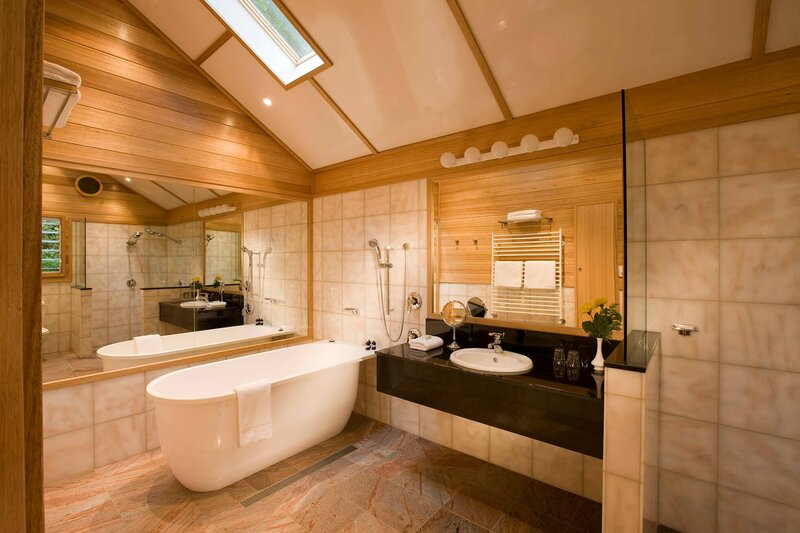 Leave the small details to us, so you enjoy your romantic weekend away with your loved one. Prepare to be completely spoilt in our 5-star hotel. 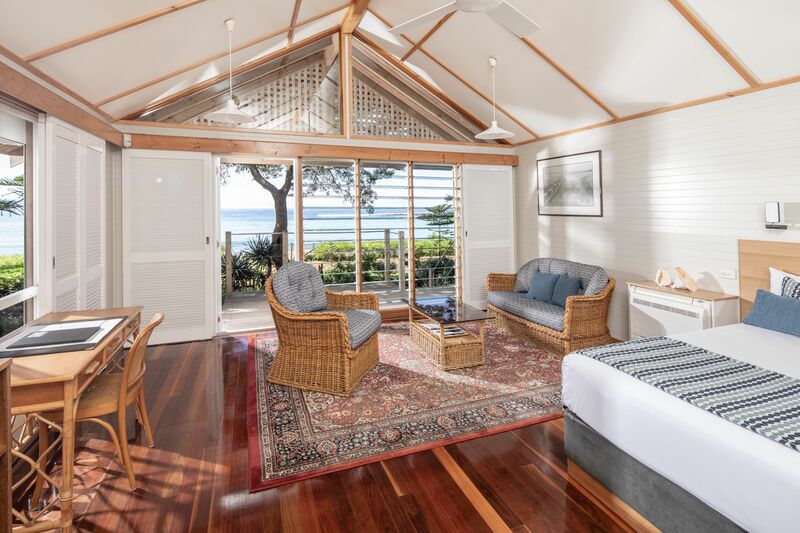 Our scenic accommodation offers fantastic facilities including air-conditioning in each room, Wi-Fi to stay connected, and a delicious restaurant for your meals. 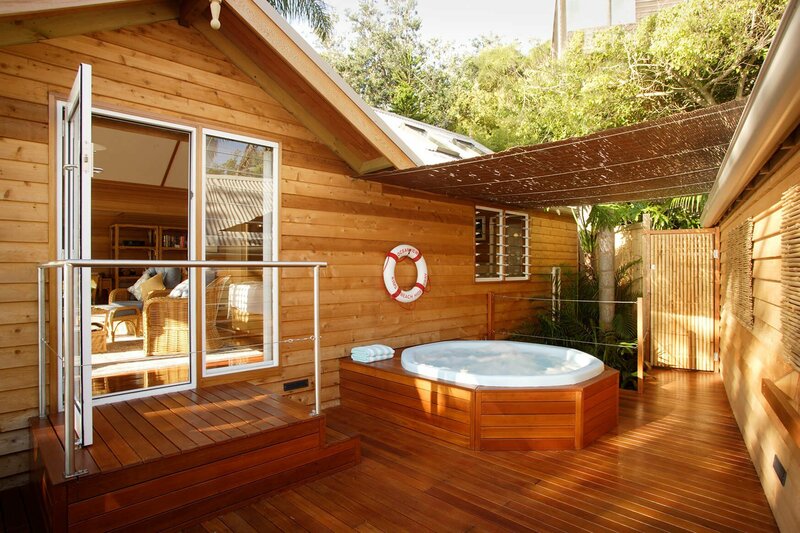 Not to mention our onsite pampering services including massage treatments and facials. We want to make sure your getaway is one that is unforgettable. 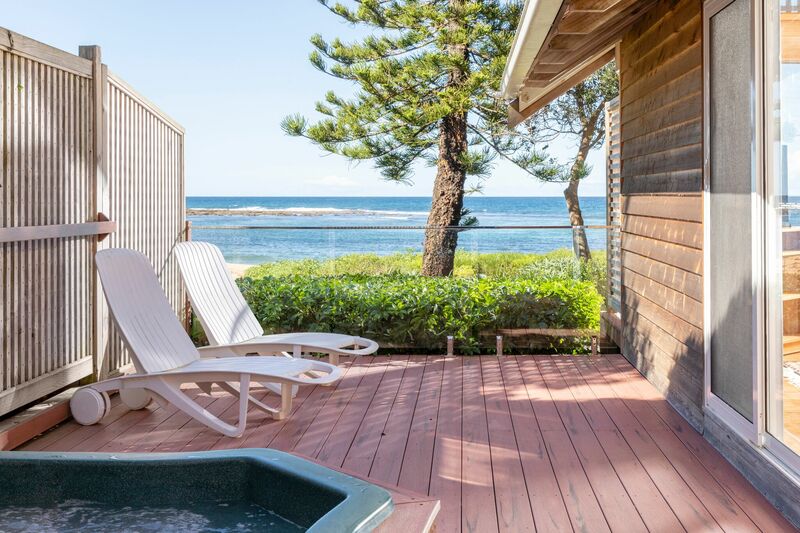 Your ideal beachfront accommodation and weekend getaway starts here at Kims.